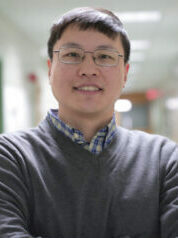 My research interests include MEMS sensors and actuators, especially biological MEMS (BioMEMS) and optical MEMS (or Micro Opto Electro Mechanical Systems - MOEMS), microlfuidics, lab on chips, smart materials and microstructures, and biomimetics and bioinspiration. Our research effort currently involves micro optical imaging systems, biological/chemical sensing, functional polymer materials. MicroElectroMechanical Systems (MEMS), lab on chips, nano scale science and engineering, and biomimetics and bioinspiration have attracted much attention in the whole engineering arena and are undergoing rapid development. They give promises to better design and performance of microsystems. Please visit my extended web page for more information at http://mnsa.ece.wisc.edu.